Circa 1940s turn-key bungalow! Super fresh and exceptionally renovated. 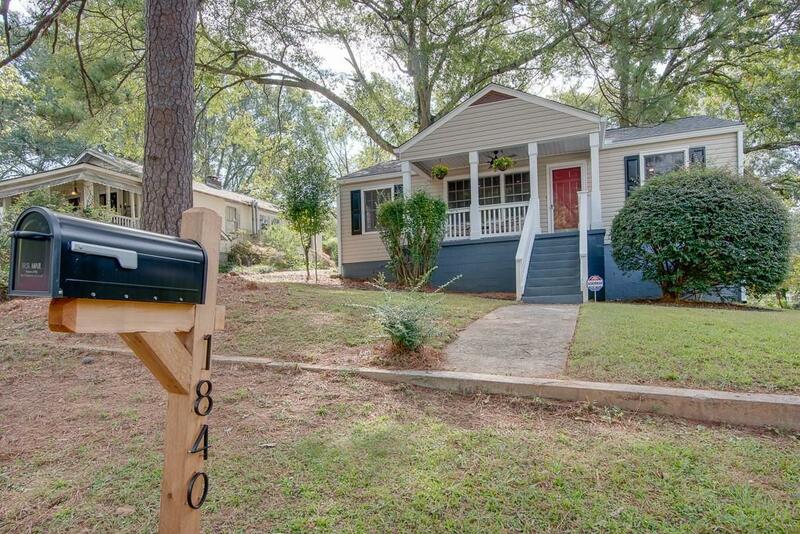 Brand new architectural roof, new HVAC, refinished original hardwood floors and fresh paint throughout. Amazing kitchen renovation with white cabinets, quartz counter top, under mount sink, industrial faucet and high-end suite of SS appliances. Adorable bath with re-glazed cast-iron bathtub, fabulous sea foam green original tile with newly tiled retro floor to match the period feel. Just minutes from ATL airport, 75/85 and Midtown/Downtown ATL.